Here at Pro-Builder Inc., we understand the importance and many benefits of building your dream home for you and your family. To our team, building a home for your family isn’t just about logistics and building another house—it’s much more than that. A home is a place for love, security, and connection. It’s the foundation to so many aspects of our lives, and at Pro-Builder Inc. we believe we have an important role in helping create that for your family. So why make the big decision to custom build your own home? Maybe you’re finally ready to build the perfect house you’ve been dreaming of, or maybe you’re simply unsatisfied with the available homes on the market. Whatever your reason is, here at Pro-Builder Inc. we and our team of trusted professionals are committed to helping you bring your ideas to life and build a home for you and your family where you will create memories to last a lifetime. Take a look at some of our finished projects in our gallery! We get it. There’s a lot of options out there and things to consider when it comes to finding the right builders you can trust to build your home. We hope you feel we are a good fit for your family in helping create your vision. We would be honored to speak with you about your ideas! 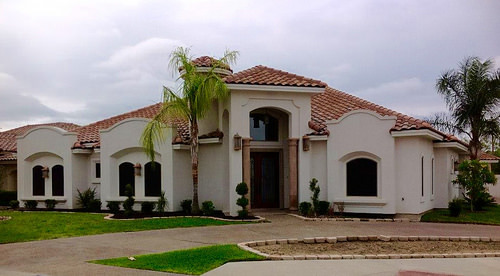 Below is a list of why you can be confident in working with our team of qualified builders here at Pro-Builders Inc.
Pro-Builder Inc is focused on creating exceptional custom homes and light commercial construction in Laredo. 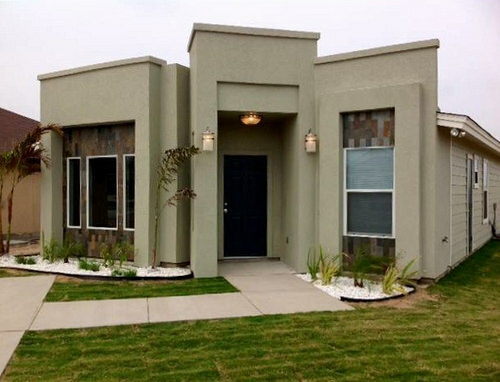 Pro-Builder Inc., led by Raymond Juarez and his team of experts spend countless hours developing and building the finest construction your budget allows, ranging from $250k to over $1 million. With more than 20 years of building supply and construction experience, Raymond and his team are committed to delivering you the quality and needs your desire in your home or commercial space. As emphasized earlier, you get what you want. 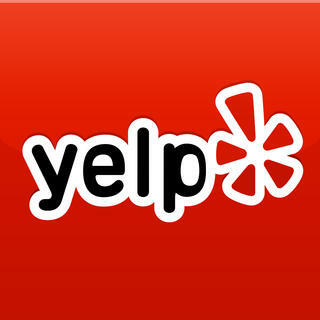 At Pro-Builders Inc., customer satisfaction is a number one priority to our team. Our goal is strive to help our clients create a home or commercial office that is one-of-a-kind—a space that uniquely meets the client's needs and desires. Choose from one of our luxurious models, or let our team of architects help you create your own customized design. Our experts strive to make sure our client’s needs and desires are met. Raymond and his team are passionate about their work and it can be seen in the quality of their finished projects and our customer testimonials demonstrate our attention to detail when we bring your vision to life! Your home is built with your ideal grade level of products in mind throughout your home. Gone are the days of having material that looks great, but wears quickly. We take pride in the homes we build down to the smallest detail. Take your time to select the best quality products to enhance the beauty and craftsmanship throughout your home. At Pro-Builders Inc. our designers will make sure to work with you hand in hand in making the best possible choices in technology for your home. The newest and highest performing technology can be installed in your home. It’s no secret today that many of the new home builds are surpassing older. With the advancements in technology today in comparison to what was available even just ten years ago, it’s almost crazy not to custom build your own home! When you buy anything new (especially high ticket items like a home or car), the likelihood of needing repairs is significantly reduced. Building your own home will allow you to make decisions about things that are important to you, and will give you the peace of mind knowing that you are getting the most up to date, and best quality. Consistency in quality, superior craftsmanship, and use of exquisite products that utilize design innovation, sustainability, and unmatched quality are the cornerstones of our company philosophy. We enjoy giving life to our client's dreams and desires. Contact us to help build the home you have always wanted. 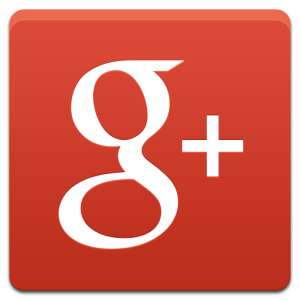 License Information -- We are a full-service licensed company since 2006. Insurance Information -- We are a full-service insured, homebuilder and remodeling contractor. 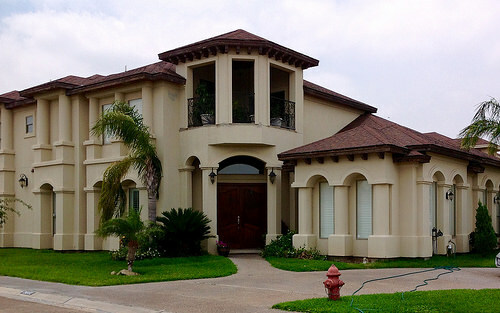 ​Pro-Builder Inc is focused on creating exceptional custom homes and light commercial construction in Laredo. 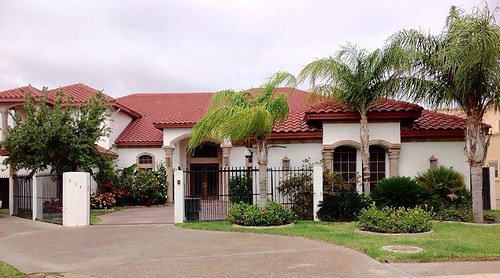 Pro-Builder Inc., led by Raymond Juarez and his team of experts spend countless hours developing and building the finest construction your budget allows, ranging from $250K to over $1 million. Intent on customer satisfaction, our experts strive to help our clients create a home or commercial office that is one-of-a-kind—a space that uniquely meets the client's needs and desires. Pro-Builder Inc loves what they do and their passion shows in the finished product. ​Our customer testimonials demonstrate our attention to detail when we make build your dream come true.With more than twenty years of building supply and construction experience, Raymond Alexander Juarez and his team are sure to deliver the quality and needs you desire in your home or commercial space.Consistency in quality, superior craftsmanship, and use of exquisite products that utilize design innovation, sustainability, and unmatched quality are the cornerstones of our company philosophy.We enjoy giving life to our client's dreams and desires. Contact us to help build the home you have always wanted. Insurance Information -- We are a full-service insured, home builder and remodeling contractor. "The biggest thing is choosing the right contractor," he states. "If somebody says something that's even an embellishment, it's enough of a reason not to trust him and move on to the next contractor. You have to trust the contractor 100 percent, not 95 percent." Go with your gut. Don't do a double-take either. It should feel perfect right off the bat. Having a license and being insured implies a contractor's credibility and knowledge, says Bob Peterson, co-owner of Associates in Building & Design Ltd., in Fort Collins, Colo., and chairman of the NAHB Remodelers Council. The contractor's license shows that they have taken the necessary exam and proves that they know the building codes and procedures. "A license minimizes the risk to homeowners of getting ripped off," he says. Make sure that before you hire anyone, you get their license # and confirm they are indeed bonded and insured. If a contractor isn't insured and a worker gets hurt or injured while working on your job, you could absolutely be held fully liable. The same goes with accidents that do damage to your next-door neighbors house. damage your next-door neighbor's home. "If you have scaffolding that fell and damaged the property next door, you want the contractor's liability to cover the cost of that damage," says LaPelusa. Confirm that he's insured before you let him in your house. 3. Pick a contractor who specializes in your project type. This one is rather self-explanatory. If you want to get a driveway paved, you wouldn't go after the town's best roofer, would you? Just like here in Laredo, Pro-Builder, Inc. is the premier roofer and home-builder but if you had a pipe burst in your bathroom and you needed some plumbing guidance, you'd probably go elsewhere. The contract should cover the costs, the type of items being installed, approximate start and finish dates, and the total set of drawings being used with established specifications, LaPelusa says. "There's never too much detail in a contract." If a specific brand for a part hasn't been agreed upon yet, the contract should include allowances instead, like "up to $1,200 for a front door." Many homeowners talk to multiple contractors to get different bids on their particular job, and then they can't remember who told them what, the contract reveals it all. "A contract is really an expectation setting, right down to what color the hinges are," Peterson mentions. "It's all about expectations. If we agree on everything upfront, then there are no surprises." You need to find out if the contractor you're hiring is going to do the work himself, or will it be subcontracted out to somebody else? It's nice to know who will be showing up on your doorstep, and large jobs such as new roofs, kitchen remodels, new bathrooms, or a huge new room added to a house often times will involve multiple subcontractors, electricians and plumbers. General contractors often subcontract specialty jobs, like roofing or vinyl siding, to other professionals whom they've worked with before. "Having subcontractors is sometimes a good thing, but it increases the complexity and risk of the job. The benefit is they have a more thorough knowledge of their aspect of the job," LaPelusa says. "It all goes back to hiring a contractor you can trust because he's never going to put a bad subcontractor on your job."